File Encryption protects your privacy documents. Protecting your files from being deleted, modified, reviewed, transferred, printed and copied. 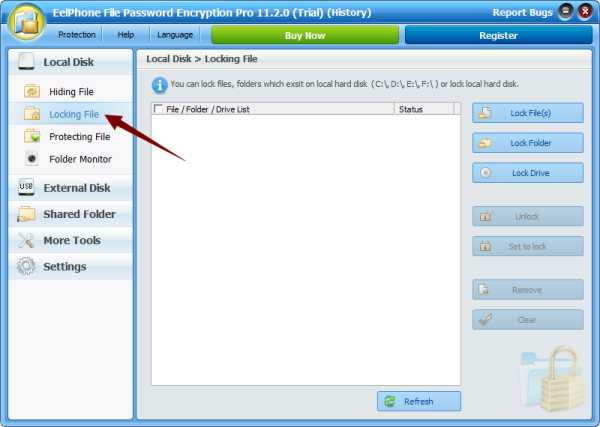 Locking your file / folder or drive to protect private data. EelPhone File Lock protects your privacy when you don't want others to open your computer files and folders. 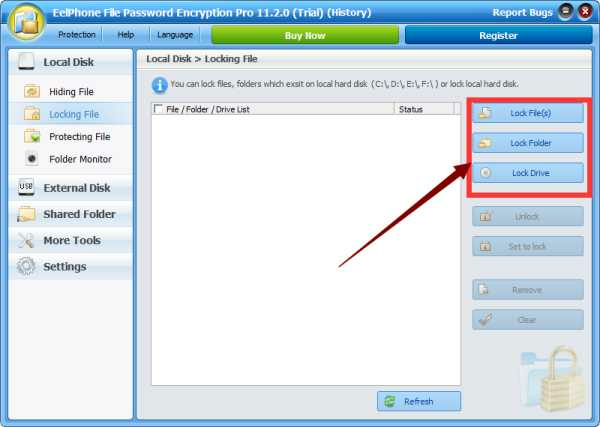 Create a password for your files or folders that only you know, and no one can open and view those locked documents. This is a powerful enough tool, except that no one can know your password. Locking File / Folder and Drive in Local Disk . 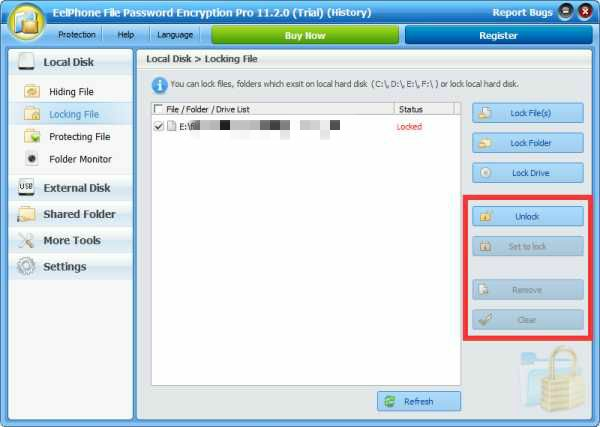 Locking File / Folder in External Disk and Shared Folder. locking files to protecting them from being deleted, modified, reviewed, transferred, printed and copied. Supporting all types of files, including images, video, audio, office files, TXT documents, EXE and other types of data. Hiding your file and folder. If some files or folders hold your secret, you don't want others to see it. 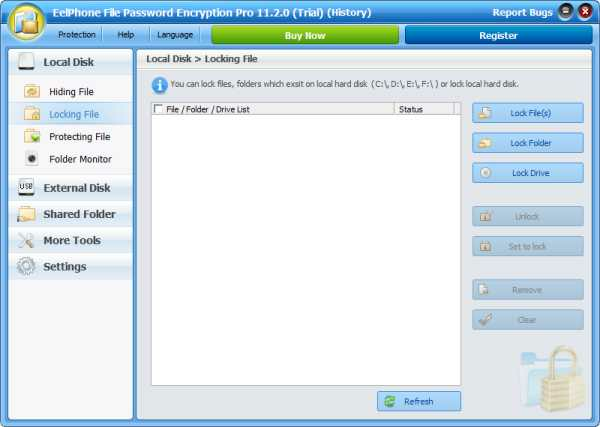 Eelphone File Lock has the function of hiding files or folders. Once you choose to hide some files, you can't find these hidden files by fine-grained search on the computer, and you can only enter the Eelphone File Lock by password, and then unhide them. Hidden files will appear on your computer. Protecting file or folder from being modified. Once some files or folders are completed, we don't want the documents to be modified / deleted / copied or printed, whether by myself or someone else. This makes it easier for more people to check the correct message in the files / folders. EelPhone File Lock is not a simple read-only protection, others cannot modify the protection status to modify these files. Monitor your file or folder. To provide the best privacy protection solution, you can monitor some files or folders to protect your privacy more deeply with EelPhone File Lock. Although others can't open your file in the locked state, others can't delete, modify, copy, and print your files under protection status, but in the monitoring state, we can know those who try to open, delete, copy, modify, and print files. Traces to find the source of the breach of privacy. Click Locking File on left.